How much do you love coffee? I know that I love it more than any other beverage or drink. I enjoy a fresh brewed cup of coffee every day, multiple times a day! I love the aroma of it, and it’s one of the many reasons I don’t get a “to-go” cup with a lid. No, instead I like to enjoy my coffee, cortado, cappuccino, or whatever I'm in the mood for that morning, sitting at a table, preferably with a good book or engaging in conversation with good company. I enjoy the moments that are shared over a cup. And even though I have many options at home to brew it, my absolute favorite is through my Nespresso VertuoLine. 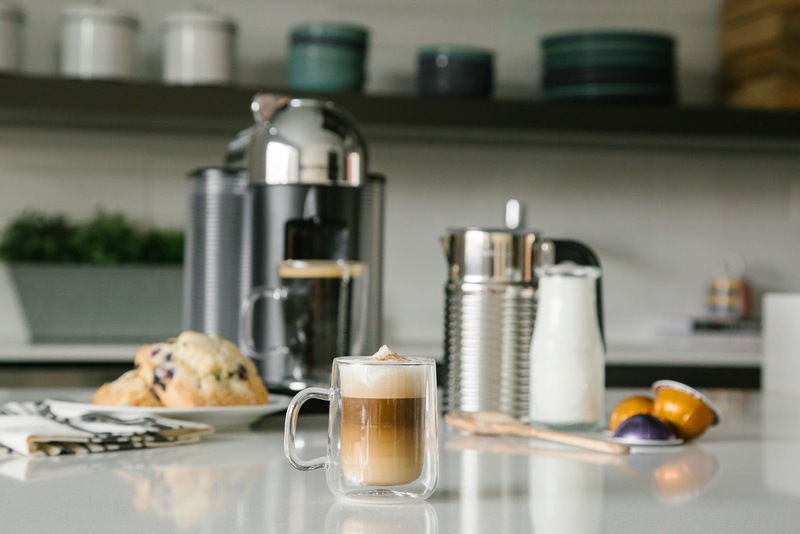 If you don't know, the Nespresso VertuoLine is the first Nespresso machine to deliver a large-cup coffee and authentic espresso both topped with a rich crema. It brews Nespresso Grand Cru capsules, which means that you’re drinking coffee from the top 1-2% of the world’s finest coffee beans. And don’t think for a minute that just because the VertuoLine is pulling double-duty as a coffee maker and espresso machine, that either one would suffer in the process. Each capsule has a barcode that is read by the machine for the perfect brewing process. 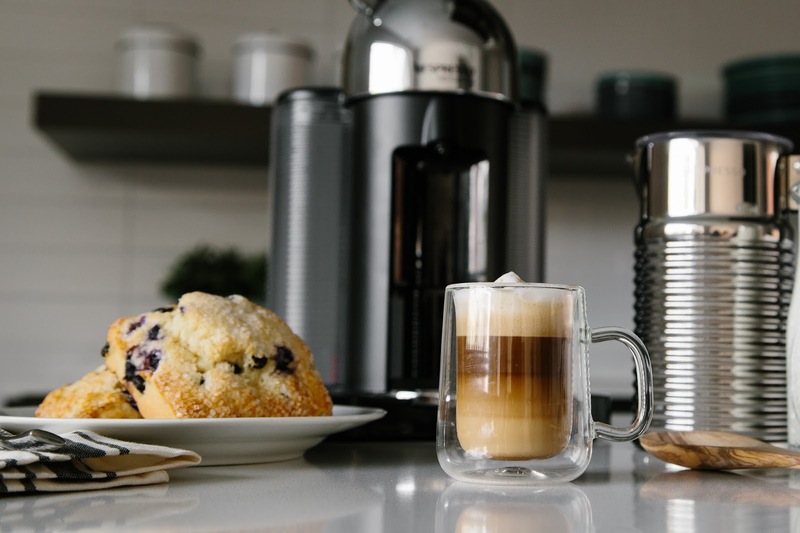 Therefore, there’s no need to worry about accidentally brewing a shot of coffee or a full cup of espresso, it knows exactly what it’s doing at the push of one button. 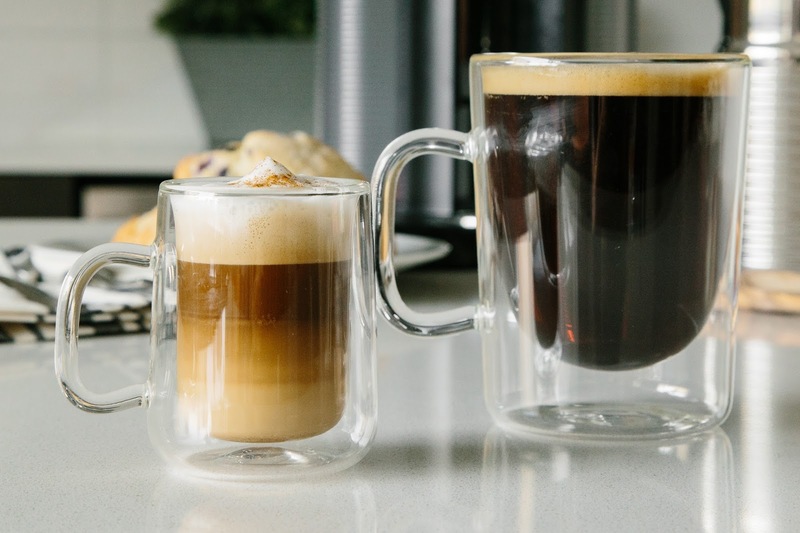 The quality and taste are unmatched and you get a rich cup of coffee and a perfect shot of espresso every time, complete with that luxurious crema on top. I’m convinced that if you truly love coffee, you will love this machine! I’ve used other single-cup coffee brewers in the past and Nespresso by far is the best one I’ve owned. And today on Instagram, I want to give you a chance at winning a machine of your own. 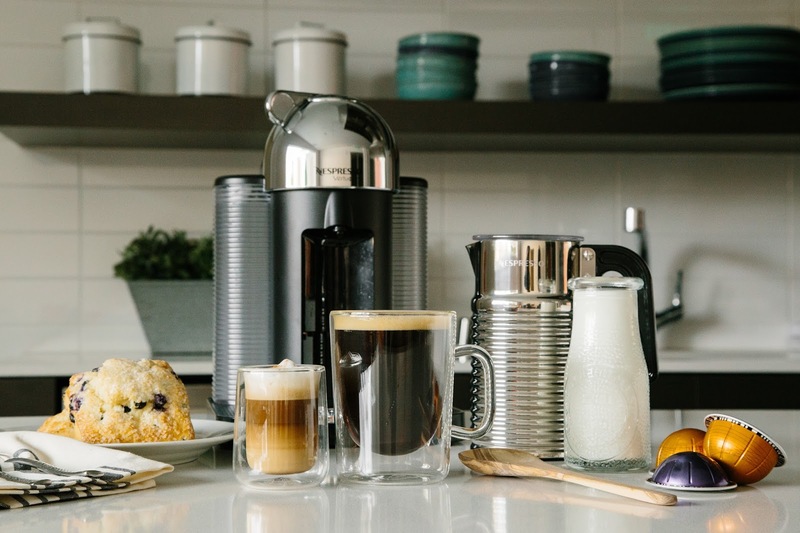 I’ve partnered with Nespresso to give away a VertuoLine machine to one lucky person. Head over to Instagram and look for the Nespresso post to find out how to enter for your chance to win. Special thanks to Nespresso for collaborating with Hungry in LA. As always, the content and opinions expressed here are entirely my own.